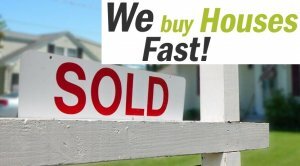 We Buy Houses Fast Dallas! We Buy Houses In Dallas And Surrounding Areas Fast & For Cash! We’re Ready To Give You A Fair Offer For Your House! Is it safe to assume that you have at some point wondered, “how do I sell my house fast in Dallas and Surrounding Areas”? If so, you have found the solution you have been searching for! That solution is JMC Property Group. Our process ensures that you get your home sold when you want it, and with no need to learn the nuances and navigate the pitfalls of the Texas real estate market. Selling your home through the traditional method can take a very long time. Many people attempting to sell their home quickly on the market are truly surprised by what an ordeal it really is. They are usually even more surprised by how much the fees and real estate agent expenses eat into the proceeds from selling the home. For many Texas residents, selling a house without a realtor is the way to go. Do You Need To Sell Your House in Dallas and Surrounding Areas? Even if an agent can’t sell your house, we can help. (Sometimes selling a house through a real estate agent is not for everyone.) We offer numerous options to buy your house one being CASH. We can help you figure out the best option for you and your family. All of this 100% free to you (we don’t charge you any fees). 100% no hassle. 100% no obligation. No commitment.